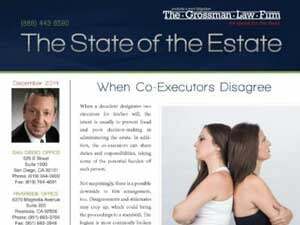 The Grossman Law Firm, APC is dedicated to assisting with the probate process in California and to helping to ensure that trust litigation is undertaken only when necessary and when it will be beneficial to our clients. We offer a free 30-minute consultation and will honestly guide any potential client to look at all the possible outcomes. Offering an honest and free evaluation of the situation is one way we strive to provide the best possible outcome for every person contacting us. Sometimes an estate plan is drafted poorly, or there isn’t an estate plan at all. 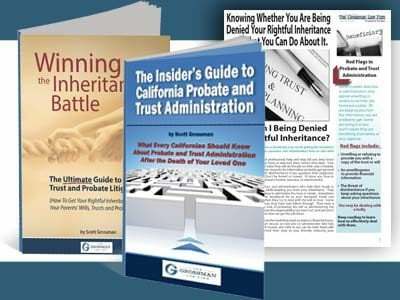 Even if you’re fairly confident that the person settling your loved one’s estate is attempting to act honestly, you may feel you aren’t receiving the inheritance you were intended to receive.The Grossman Law Firm has helped many beneficiaries in successful California probate litigation and trust litigation cases. The probate process can be confusing for anyone set to inherent from an estate, as well as the person appointed to settle it. Trustees and executors can feel overwhelmed by deadlines, frustrated beneficiaries, court dates, and asset management. 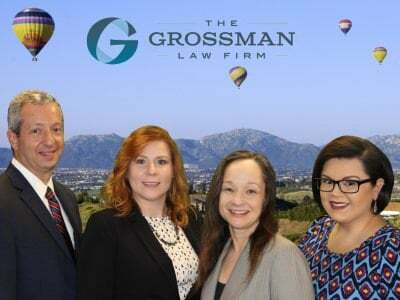 Let the California trust attorneys at The Grossman Law Firm, APC help you, whether you’re a trustee, executor, administrator, heir or beneficiary.